Ancient Macedonian slingers participated in the destruction of the political and religious centre of the Odryssians near Starosel. This was narrated on Thursday by thracologists and scholars from the National museum of history (NMH). The slingers were special units of Philip of Macedon and used very accurate slings with lead weights. 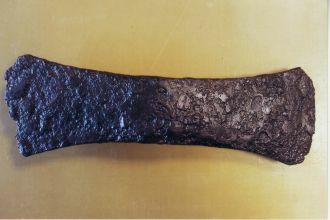 Hundreds of such lead pieces were discovered in the area, some of them even contained inscriptions with names and taunts. The finds from the area narrate in details the war between the ancient Thracians and the Macedons of Philip (II), who invaded along the course of the river Maritsa, took [the towns of] Kabile and the modern Plovdiv but was staggered in his clash with the Odryssians in the Sredna gora mountains. According to the historical sources the great commander was forced to ask for assistance from Thessaly, because the Thracians were waging an unusual for the ancient Hellenes guerilla war. They attacked at night and from ambushes and were not in formation but always surprised the father of Alexander. 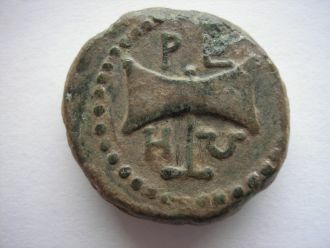 At the end Philip won and destroyed the Thracian complex at Starosel, but this happened after an eleven month campaign which continued through the winter and made the Macedonian ruler ill. After his victory the power centre of the Odryssians shifted to the Valley of the Thracian kings near [the town of] Kazanlyk and to the town of Seuth - Seuthopolis. 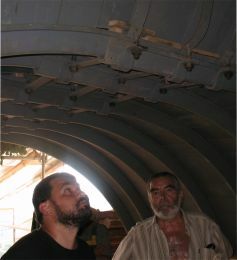 Archaeologists of NMH under the leadership of its deputy director Ivan Hristov managed to date the Starosel complex during 2009. 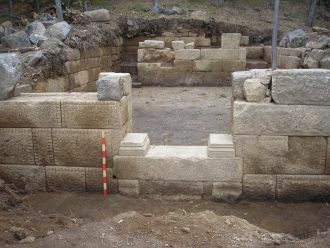 During excavations at Chetinjova mound the scholars reached the remains of an ancient pyre constructed to honour the goddess Hestia. The thracologists think that with pyre marked the first use of the temple. Scholars form Heidelberg studied the pyre's artefacts and proved that the Starosel temple was constructed not earlier than in 358 BC - a century later then thought by Georgi Kitov. Kitov dated the complex to the time of Sitalkes. The temple and ruler's centre for this region was built by king Amatok II. The region yields everywhere artefacts marked by the symbol of his rule - the double headed axe called labrys. There was a similar arm on the floor of the ruler's residence at the peak Kozi gramadi ("Goat's rocks)". Amatok II was a vassal of the Odryssian king Kerseblept but a certain time he was the sole ruler of a part of the Odryssian kingdom. Teres II was his son. Both these rulers ruled from the palace at the Kozi gramadi peak, as well as from other similar residences. The palace at Kozi gramadi was well fortified and had an area of 4500 m2. Its area yields pieces of golden decorations and the archaeologists are hoping that the building hides more artefacts. The ancient Thracian kings had no established capitals but ruler their possessions from such fortresses. The Odryssian sanctuaries in the region of Starosel were probably ordered in the pattern of the constellation of the Ursa Minor, revealed Dr. Ivan Hristov. He explained that the southern sloped of the central sredna gora mountain contain an enormous concentration of more than 400 archaeological sites and many temples. 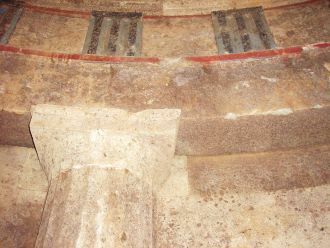 The region of Starosel probably represented a large religious complex, similar to the modern Christian complexes of monasteries like that at Athos. Thousands of worshipers travelled along a sacred road towards the Thracian sacred places. The road was lined with buildings which provided accommodation and support. The archaeologists have even traced the route of the ancient Thracian worshipers. 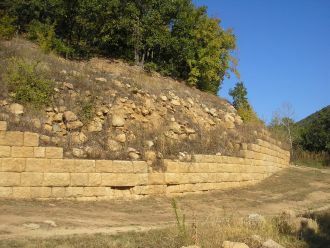 It passed along the modern dam Pjasychnik ("Sandstone") and continued towards the temples in the starosel mounds. A Thracian ruler was buried and deified in one of them - Chetinjova mound. The archaeologists proved that the temple at Chetinjova mound was deliberately buried/covered with earth. The scholars reached the very heart of the mound - something that is rarely done in Bulgaria. "Archaeological studies usually uncover just the architecture, unearth gold and silver, but the mound cover which hides secrets and constitutes a part of a larger sacred place is left out", Ivan Hristov explains. His team, however, continued the excavations that that is how they reached the pyre in honour of the Hestia - the goddess of the hearth. The scholars speculate that she was a protector of the royal dynasty. It is for the first time that artefacts connected with the cult to this goddess are uncovered in mounds. The ancients have left stone breads to the deity in the temple. A building magic was performed during its construction, think Prof. Valeria Fol. A ritually cracked cultic vessel which probably contained some kind of fluid was found. Its chemical analysis is forthcoming. Prof. Fol thinks that it was a sacrificial fluid that was to penetrate into the Goddess mother, i.e. in the earth, and to hold it fast during the building's construction. The very construction of the temple and the mound represented to the Thracians the process of the construction of the Cosmos. From the mound's construction we can judge about the beliefs of the ancient Thracian aristocracy about the world and the universe. Dr. Ivan Hristov on his part expects more surprises at the ridge of the mountain. The archaeologist has personal information about unstudied rock sanctuaries and about graves yielding silver jewellery. The region attracts many treasure hunters and a large part of the artefacts are already plundered. According to Hristov this Thracian regions is a major source of antiquities for the auctions and for the collectors. In the last years however the police partially blocked the treasure hunters' endeavours. The ridge of the mountain however leaves a multitude of unstudied mounds which hide secrets and it is a question of time before the archaeologists or the treasure hunters uncover them.